Since ancient Greece, islands have triggered the imagination and inspiration of artists, poets, travellers and scientists. The enormous number of islands in the oceans of the world makes it impossible to visit them all in a lifetime. If you had to choose one set of islands above all else, how could you go past Hawaii.Isolation and evolution have combined to create a unique place born atop of mountains protruding from the sea floor. It is an archipelago of islands southwest of the US in the Pacific Ocean. The islands are spread across nearly 2500km of sea. 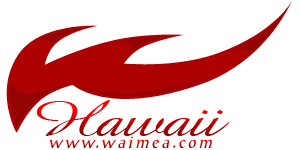 There are eight main islands called Niihau, Kauai, Oahu, Molokai, Lanai, Kahoolawe, Maui and The Island of Hawaii. The capital is Honolulu , which is also the largest city and is based in Oahu . The main languages are English and Hawaiian. With a large diversity of ethnicities with a major percentage of Asian Americans and mixed race people, most Hawaiians are bilingual. Hawaii is a very interesting place for many reasons. Firstly, it is the only US state that has a royal palace and all the islands were actually formed by hot spots, which are volcanoes erupting in the sea floor. Hawaii is also the only state that is surrounded completely by water and is not physically located in North America . Basically, it is one of only two states that do not share a border with any other US state and that are outside the contiguous US. Another interesting fact is that due to active lava flows, Hawaii continuously grows in area. Even years of tourism has not managed to steal away the magic of Hawaii . With many islands that are diverse from each other as there are multiple ethnicities, both will fascinate you and fill you with love. A beautiful country renowned for its landscape and friendly peopleand accommodation ranging from 5 star resorts to self contained holiday villas, Hawaii is a great place to visit. The name itself summons up image of sipping a pina coloda on a beach with crystal blue water and endless white sands. With an abundance of things to do, places to visit and great food to eat, you will not be disappointed! Come and explore Hawaii!.